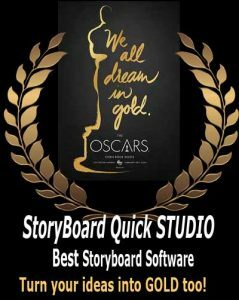 StoryBoard Quick storyboard software is a pre-production leader in the film industry and is a critical part of planning major films and projects. When you’re developing the course syllabus for your university or film trade school class, be sure to include previsualization storyboard software. It’s important to give today’s students an idea of what awaits them in the film and business communities! Video, film and presentation are used in every industry and many jobs. You and your school can equip students with the tools and skills necessary to survive, succeed and get a job in the real world. StoryBoard Quick is a great piece of storyboard software to start the visualization process. PowerProduction offers various levels of storyboard software to educational institutions. PowerProduction understands the importance of education: that’s why we emphasize discounts and resources to support students and educators—not only in filmmaking, but also in a variety of creative academic disciplines. We have a mission to give anyone the opportunity to prepare themselves for a successful future in their chosen career. Our company invests time and effort in helping education locally in our county and nationally in our country. Check out more about PowerProduction’s focus on education at our Education Solutions page.